فرجی, محیا, رضادوست, امیرمسعود, اسفنده, مسعود. (1397). بهبود مقاومت تورق کامپوزیت‌های شیشه-فنولی به روش چقرمه‌سازی زمینه توسط پلی‌وینیل بوتیرال. علوم و فناوری کامپوزیت, 5(4), 521-528. محیا فرجی; امیرمسعود رضادوست; مسعود اسفنده. "بهبود مقاومت تورق کامپوزیت‌های شیشه-فنولی به روش چقرمه‌سازی زمینه توسط پلی‌وینیل بوتیرال". علوم و فناوری کامپوزیت, 5, 4, 1397, 521-528. فرجی, محیا, رضادوست, امیرمسعود, اسفنده, مسعود. (1397). 'بهبود مقاومت تورق کامپوزیت‌های شیشه-فنولی به روش چقرمه‌سازی زمینه توسط پلی‌وینیل بوتیرال', علوم و فناوری کامپوزیت, 5(4), pp. 521-528. فرجی, محیا, رضادوست, امیرمسعود, اسفنده, مسعود. بهبود مقاومت تورق کامپوزیت‌های شیشه-فنولی به روش چقرمه‌سازی زمینه توسط پلی‌وینیل بوتیرال. علوم و فناوری کامپوزیت, 1397; 5(4): 521-528. کامپوزیت‌ها انواع مختلف دارند که از جمله آن‌هاکامپوزیت‌ها با ساختار لایه‌ای می‌باشند که در آنها احتمال تورق تحت بار‌های اعمالی وجود دارد. کامپوزیت رزین فنولیک / الیاف شیشه از جمله کامپوزیت‌های پر کاربرد می‌باشد که احتمال تورق در آن زیاد است. در این پژوهش افزایش مقاومت این کامپوزیت در برابر تورق با کمک افزودنی‌ پلیمری گرمانرم پلی وینیل بوتیرال (PVB) با مقادیر 1، 3، 5، 10 و phr 20 مورد بررسی قرار گرفته است. ابتدا پیش آغشته الیاف شیشه و رزین فنولی اصلاح شده تهیه شده، به منظور رسیدن به پخت جزئی ، در شرایط دما-زمان معین قرار داده و میزان جریان یابی آن‌ها اندازه‌گیری شد. سپس با فرآیند قالب‌گیری فشاری از نمونه‌های با مقدار جریان‌یابی یکسان %10، نمونه‌های آزمون خمش تهیه شد. نتایج آزمون خمش سه نقطه‌ای نشان دادکه افزودن PVB در مقادیر مختلف موجب بهبود نسبی استحکام و مقاومت در برابر تورق شده که میزان آن تابع مقدار افزودنی است. افزودن PVB تا phr 3 موجب افزایش چقرمگی شکست تا %2/58 و بیشتر از phr 3 موجب کاهش آن شده، متوسط نیروی پیش برنده شکست نیز تنها در کامپوزیت حاوی phr 3 از PVB افزایش یافت. در این راستا میزان phr 3 از PVB به عنوان مقدار بهینه شناخته شد. بررسی مورفولوژی سطوح شکست با استفاده از SEM بیانگر ممانعت از رشد ترک در این کامپوزیت‌‌ها حتی در مقدار phr 1 می‌باشند. There are various types of composites among which these with layered structure are susceptible to delamination under the applied loads. Phenolic resin/glass fiber composites, one of the most commonly used composites, are prone to delamination. In this research, the improvement of the delamination resistance of phenolic composites via the addition of polyvinyl butyral (PVB), a thermoplastic additive at various contents (i.e. 1, 3, 5, 10 and 20 phr) has been studied. For this purpose a phenolic/glass fiber prepreg modified with thermoplastic additive was prepared and brought to a partially cured (B-stage) by using a specified temperature-time condition. The flow ability of the prepared prepregs was measured. Samples for the flexural test were then prepared by compression molding of the prepregs having the flow abilities of 10%. Three-point bending test results showed that the addition of PVB relatively improves the strength and delamination resistance of the composites, the extent of which depends on the additive content. The addition of PVB at 3 phr increased the fracture toughness up to 58.2%, however beyond which it was reduced; hence 3phr was regarded as the optimum value. Inspection of the fracture surface morphology by SEM revealed the inhibition of crack propagation even at 1 phr of PVB. Benzerga D., Haddi A. and Lavie A., “Delamination Model Using Damage Mechanics Applied to New Composite for Orthopaedic Use” International Journal of Materials Engineering, Vol. 4, No. 3, pp.103-113, 2014. Sridharan, S., “Delamination Behaviour of Composites” First ed., Woodhead Publishing Limited, Cambridge, pp. 737-739, 2008. Najafloo B., Rezadoust A.M. and Latifi M., “Effect of Through-the-Thickness Areal Density and Yarn Fineness on the Mechanical Performance of Three-Dimensional Carbon–Phenolic Composites” Journal of Reinforced Plastics and Composites, Vol. 35 No. 20, pp. 1447-1459, 2016. Shiino M. Y., Pelosi T. S., Hila´rio Cioffi M. O., and M. Donadon V., “The Role of Stitch Yarn on the Delamination Resistance in Non-crimp Fabric: Chemical and Physical Interpretation” Journal of Materials Engineering and Performance, Vil. 26, No. 3, pp. 978-986, 2017. Naderi A., Mazinani S., Ahmadi S. J., Sohrabian M. and Arasteh R., “Modified Thermo-Physical Properties of Phenolic Resin-Carbon Fiber Composite with Nano Zirconium Dioxide” Journal of Thermal Analysis and Calorimetry, Vol. 117, No. 1, pp. 393-401, 2014. Ávila A. F., Carvalho M. G. R., Van Petten A. M. V., “An Investigation on Graphene-Based Hybrid Nanocomposites Under Shear Loadings” 51st AIAA/ASME/ASCE/AHS/ ASC Structures, Structural Dynamics, and Materials Conference, Orlando, Florida, 12 - 15 April 2010. Liu N., Wang J., Yang J., Han G. and Yan F., “Effects of Nano-Sized and Micro-Sized Carbon Fibers on the Interlaminar Shear Strength and Tribological Properties of High Strength Glass Ffabric-Phenolic Laminate in Water Environment” Composites: Part B, Vol. 68, pp. 92–99, 2015. Phong N. T., Gabr M. H., Okubo K., Chuong B. and Fujii T., “Enhancement of Mechanical Properties of Carbon Fabric/Epoxy Composites Using Micro/Nano-Sized Bamboo Fibrils” Materials and Design, Vol. 47, pp. 624-632, 2013. Beckermann G. W. and Pickering K. L., “Mode I and Mode II Interlaminar Fracture Toughness of Composite Laminates Interleaved with Electrospun Nanofibre Veils” Composites: Part A, Vol. 72, pp. 11-21, 2015. Heijden S., Daelemans L., Meireman T., De Baere I., Rahier H., Paepegem W. V. and De Clerck K., “Interlaminar Toughening of Resin Transfer Molded Laminates by Electrospun Polycaprolactone Structures: Effect of the Interleave Morphology” Composites Science and Technology, Vol. 136, pp. 10-17, 2016. Mirzapour A., Pourhasan B. and Eslami Z., “Effect of Nanosilica on Bending Strength and Thermal Stability of Glass Fiber/Phenolic Nanocomposite”, In Persian, Iranian Journal of Polymer Science and Technology, Vol. 29, No. 4, pp. 377-386, 2016. 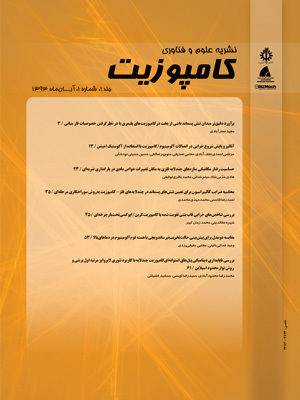 Rajabzadeh H., Amiri-Amraie I. and Rezadoust A.M., “Optimization of Tensile Strength of Phenolic-Glass Compound for Compression Molding Process” In Persian, Iranian Journal of Polymer Science and Technology, Vol. 28, No. 1, pp. 19-26, 2015. Sela N. and Ishai O., “Interlaminar Fracture Toughness and Toughening of Laminated Composite Materials: a Review” Composites, Vol. 20, pp. 423-435, 1989. Woo E. M., “Time–temperature Viscoelastic Behavior of an Interlaminar-Toughened Epoxy Composite” Journal of Applied Polymer Science, Vol. 50, pp. 1683-1692, 1993. Woo E. M. and Mao K. L., “Evaluation of Interlaminar-Toughened Poly(Ether Imide)-Modified Epoxy/Carbon Fiber Composites” Polymer Composites, Vol. 17, pp. 799-805, 1996. Rajulu A. V., Rao G. B., Devi L. G., Balaji P. J., He J. and Zhang J., “Interlaminar Shear Strength of Polycarbonate-Toughened Epoxy Composites Reinforced with Glass Rovings” Advances in Polymer Technology, Vol. 22, pp. 373–377, 2003. Ismail I.N, Ishak Z.A.M., Jaafar M.F., Omar S., Zainal Abidin M.F. and Ahmad Marzuki H.F, “Thermomechanical Properties of Toughened Phenolic Resol Resin” Solid State Science and Technology, Vol. 17, pp. 155-165, 2009. Liu N., Wanga J., Chen B., Han G., Yan F., “Enhancement on Interlaminar Shear Strength and Tribological Properties in Water of Ultra-High Molecular Weight Polyethylene/Glass Fabric/Phenolic Laminate Composite by Surface Modification of Fillers” Materials and Design, Vol. 55, pp. 805–811, 2014. Ozdemir N. G., Zhang T., Hadavinia H., Aspin I., Scarpa F., “Glass Fibre Reinforced Polymer Composites Toughened with Acrylonitrile Butadiene Nanorubber” Composites Part B: Engineering, Vol. 88, pp. 182-188, 2016. Beheshty M.H.., Afzali S.K. and Naderi G., “The Compounding of Phenolic Nitrile Blends: II-Effect of Nitrile Elastomer Type”, In Persian, Iranian Journal of Polymer Science and Technology, Vol. 14, No. 5, pp. 317-322, 2001. Fotouhi M, Saghafi H, Brugo T, Minak G, Fragassa C, Zucchelli A, Ahmadi M, “Effect of PVDF Nanofibers on the Fracture Behavior of Composite Laminates for High-Speed Woodworking Machines” Journal of Mechanical Engineering Science, Vol. 231, pp. 31-43, 2017. Kamar N. T., Drzal L. T., Lee A. and Askeland P., “Nanoscale Toughening of Carbon Fiber Reinforced/Epoxy Polymer Composites (CFRPs) Using a Triblock Copolymer” Polymer, Vol. 111, pp. 36-47, 2017. Sonnenfeld C., Mendil-Jakani H., Agogué R., Nunez P. and Beauchêne P., “Thermoplastic/Thermoset Multilayer Composites: A Way to Improve the Impact Damage Tolerance of Thermosetting Resin Matrix Composites” Composite Structures, Vol. 171, pp. 298–305, 2017. Kelly A., “Concise Encyclopedia of Composite Materials” First Ed, Pergamon Press, Massachusetts, pp. 249-251, 1989. Norul Azlin M Z., Senin H B., Kok Sheng C., “Morphology Observation and Physical Properties of Phenolic Resin-Silicate Layered Nanocomposites”, Journal of Nuclear and and Related Technologies, Vol. 6, No. 1, Special Edition, 2009. Greenhalgh E. S., “Failure Analysis and Fractography of Polymer Composites” Woodhead Publishing Limited and CRC Press LLC, Cambridge, pp. 175-209, 2009. R. Atrif R., Inam F., “Fractography Analysis of 0.5 wt% Multi-Layer Grapheme/Nanoclay Reinforced Epoxy Nanocomposites” AIMS MATERIALS Science, Vol. 3, No. 3, pp. 1266-1280, 2016. Atrif R., Inam F,. ʻʻFractography Analysis of 0.5 wt% Multi-Layer Grapheme/Nanoclay Reinforced Epoxy Nanocompositesʼʼ, Aims Matrials Science,3(3),1266-1280,2016.